Easily populate the IRS Form W-7 from a simplified online application form. Use the checklist to make sure you have all the documents you will need to obtain an ITIN Number. Our staff is available by e-mail or chat to assist you. An Individual Taxpayer Identification Number (ITIN) is a tax processing number issued by the Internal Revenue Service. IRS issues ITINs to individuals who are required to have a U.S. taxpayer identification number but who do not have, and are not eligible to obtain a Social Security Number (SSN) from the Social Security Administration (SSA). ITIN stands for Individual Taxpayer Identification Number, which is a number assigned by the Internal Revenue Service for tax purposes to individuals who do not have, or are not eligible to have, a Social Security Number in the United States. ITINs are used by individuals without Social Security Numbers for federal tax filing purposes with the IRS. An ITIN is a nine-digit number beginning with the number “9” and is formatted like a social security number, for example: 912-34-5678. How do you file form W-7? In most cases, W-7 forms are filed WITH a federal income tax return, and are attached to the FRONT of the federal income tax return. This takes the place of sending your Form 1040s/income tax forms to the address within that form. Apply in person at a designated IRS Taxpayer Assistance Center (TAC). What documentation is required for the ITIN Application? Physical/Original documents OR copies of documents certified by the issuing agency* that show identifying information that matches the personal information provided on Form W-7, and shows your connection to a foreign country (“foreign status”). The documents must not be expired. Using your passport (either original or certified copy) is the most recommended, because using a passport, you do not need to submit any other documents from the list. What qualifies as a copy of documentation “certified by the issuing agency”? This is a copy of the document that the original issuing agency provides and certifies as an exact copy of the original document and contains an official stamped seal from the agency. You may be able to request a certified copy of the documents at an embassy or consulate. It usually takes 6-8 weeks for the IRS to process ITIN applications. You will receive a letter from the IRS with your assigned ITIN usually within 6 weeks, but can take 8-10 weeks. If I send my physical documentation, how and when will I get it back? The original documents will be returned to the mailing address shown on Form W-7. It is not required to include a return envelope, but you are permitted to include a prepaid Express Mail or courier envelope for faster return of the documents. To check the status of your W-7, you will need to call the IRS at the following phone number: 1-800-829-1040. How do you know if you are eligible for an SSN? Certain aliens with non-immigrant status that are authorized to work in the U.S. can receive an SSN. Individuals who applied and obtained an Employment Authorization Document (EAD) from the United States Citizenship and Immigration Services (USCIS) are eligible to apply for an SSN. You can apply for an SSN from the Social Security Administration but completing and submitting Form SS-5. This pertains only to individuals who have been issued a Visa from the US Department of State that enabled them to obtain an SSN. If you apply for an SSN and you are denied your request to obtain an SSN, you must provide the proof of the denial from the SSA is required with your Form W-7 for an ITIN. 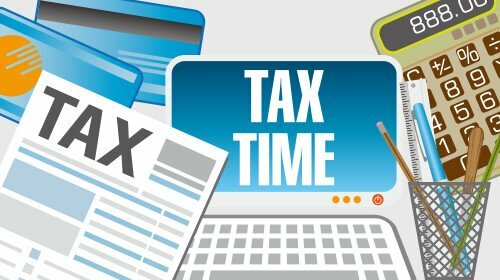 Can I e-file an income tax return after receiving an ITIN? You can e-file a federal tax return with a W-7 ONLY in the following calendar year AFTER you originally obtained your ITIN.